1X2 Gaming is a small software development company with a big reputation. The brains behind the game currently have some great titles on the market that can be played online and on mobile devices. The company was established in 2003, and its headquarters are located in Brighton, UK. 1X2 Gaming specializes in designing and creating virtual sports games. Click here to read more. For many experienced slot gamers, 1X2 Gaming occupies a niche in the market that may not be as famous as its competitors at NextGen or Kajot but offers games with just as much pizzazz. Their slot games are based on five-reel layouts on high-performance slot machines, but players can also try their hand at other games by placing bets on the score of virtual football matches in order to pocket a win. There are other dimensions to these slots as wins can also be enjoyed when you bet on fixed-odds outcomes and if you are lucky enough to receive an instant win as a bonus. The company began its illustrious career by creating Flash and HTML5-based casino games before evolving into a new platform: slots. The majority of the slot games from 1X2 Gaming have a traditional feel to them in terms of the game play and the layout, and the company tends to shy away from distractions such as innovative bonuses to ensure the games are easy to pick up and fun to play. Their simplicity does not detract from their entertainment value; these games are perfect for any slot gamers who enjoy classic slot gaming. The design team at 1X2 Gaming relies on solid slot games rather than modern innovative technology, and they have an undeniable knack for it. The lower-variance game play and a clever dose of humour add to the appeal of their slots, and the reach of these games is always increasing as more and more players lean toward the more traditional slots. Forget about expanding wilds, numerous bonuses and multiple wins, these slots offer standard free spins and good, old-fashioned gaming opportunities instead of distracting graphics and continual mind-boggling frills. The high-performance animations are accompanied by fully integrated sounds that work seamlessly with each slot game, but unlike more modern developers, they don’t affect the game play itself. In addition to the popular slots, 1X2 Gaming also offers a wide range of classic casino games including Baccarat, Blackjack and Roulette (European), and many of them feature customized versions such as the Blackjack Players’ Choice game. Whether you are an avid slot gamer or a keen newbie, 1X2 Gaming offers a wide range of classic slots, virtual football and casino games, ensuring they have a little bit of something for everyone. 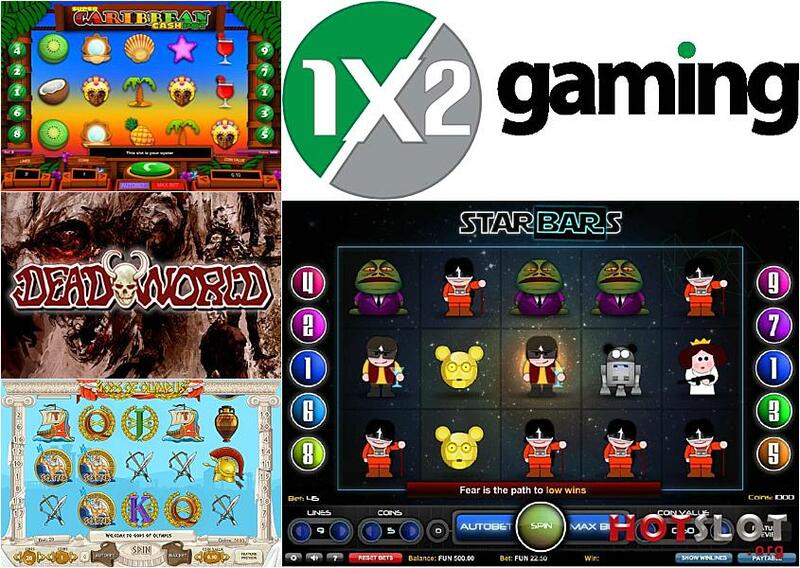 As with many modern companies, 1X2 Gaming has an exciting range of slots that have been optimized for all kinds of platforms including mobile devices such as iOS, Windows, Blackberry and Android. The intuitive user interface will scale to match any screen size, giving you an enjoyable playing experience whatever device you choose to play on.